Modern, 3 Bedroom Dormer Bungalow with Developed Attic Space and Permanent Stairs. Property is Set in A Charming Countryside Location and Comes with the Option of Purchasing an Additional One Three or Fifteen Acres. 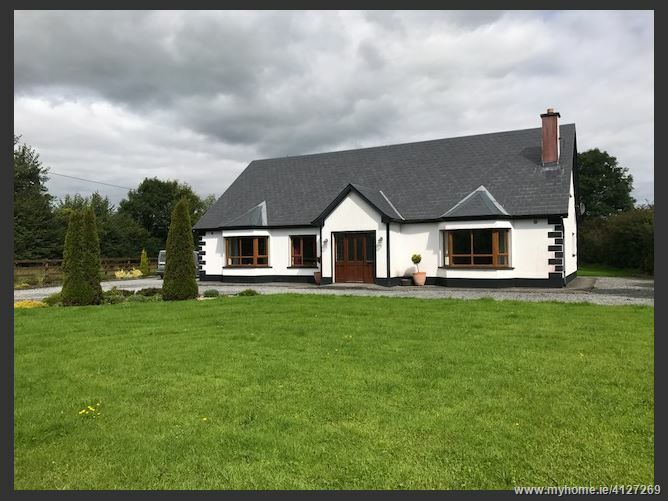 Property is Finished to a Very High Standard Both Internally and Externally and Benefits from High Efficiency Geothermal Boiler with under floor heating which costs on Average €400-€500 per year to run. Large Kitchen/Diner with Fitted Units. 3 Spacious Bedrooms - 1 of Which is Ensuite. Extra Two Bedrooms in Converted Attic Space. Developed Attic Space with Permanent Stairs - Ideal For Conversion to Two Additional Bedrooms. Detached Garage with Mezzanine. Garage built to living standard with underfloor heating and insulated walls. Option of Buying An Additional 1, 3 or 15 Acres of Land.